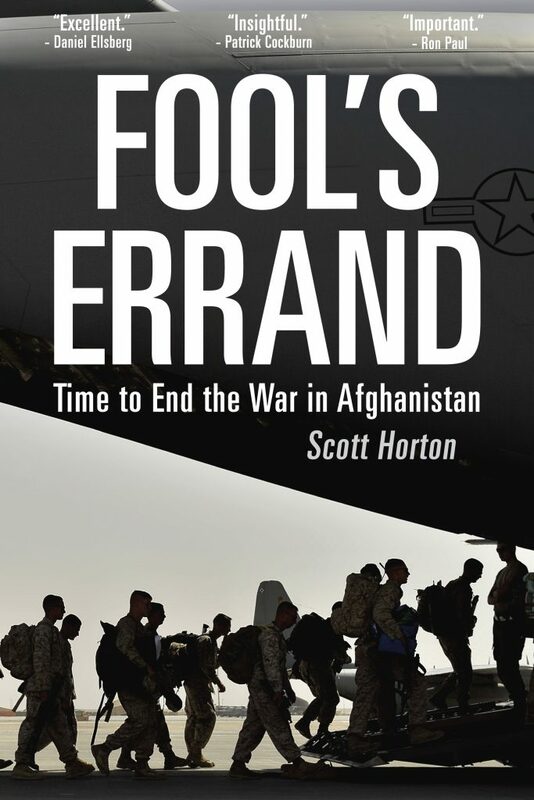 Scott Horton of The Scott Horton Show and The Libertarian Institute joins us to discuss his new book, Fool’s Errand: Time to End the War in Afghanistan. After discussing Trump’s plan to surge yet again, we get into the meat and potatoes of the book’s deep dive into the history and politics of the Afghanistan war before arriving at the inevitable “why” of this senseless and brutal military endeavour. We even broach the disagreement on Bin Laden and 9/11. This is a most impressive interview! Scott Horton has a good head on his shoulders as does James Corbett. Well done gents! Great discussion, but entirely lacking context of the Brzezinski Agenda to destabilize the “World Island” and sustain the Anglo-American (Round Table of Six/Chatham House/CFR) hegemony amid the eastern world. Afghanistan: Where empires go to die. That’s my theory on why we are there. As to the troops; it’s their duty to disobey unlawful orders. It’s also their duty to fight enemies, both foreign and domestic. Which means they should immediately strike guess where? However, we all know how that would end. I had an acquaintance who had served in Iraq during one of the latter wars. I was going over the differences between his experiences and mine in Desert Storm. He was talking how the sheiks would get some 30k a month in an economic stimulus. Naturally, this only stimulated the sheik’s economics. But they would basically tell the troops how nice it was that they weren’t getting those rockets landing in their bases anymore. He was a basket-case junkie so it took him a while to get the connection. But that war is the same as the Afghan one. It’s there to kill our economy. So sad. When mothers quit sending their sons to the military, there will be no more wars. Bad paraphrase of Einstein. But it is the mothers who send them, not the fathers. My ex rationalized that the army would straighten out our son. This despite the fact that she blamed the army for our marriage falling apart. That’s one thing for which I don’t blame the army, I blame her for that failure. And also for encouraging Charlie to go to war. And for that I will never forgive her. As if that was going to happen anyway. I wasn’t really getting into this guy Scott Horton for the first part of the interview. Too raw, disjointed etc. But at around 18:00 when James stated they have differences, and Scott talked about Al-Qaeda pulling off 9/11 I had to stop listening. Sorry, if in 2017, 16 years after the fact, someone hasn’t figured out that Al-Qaeda did not pull off 9/11, then I have no patience for them. This narrative is classic Mockingbird obfuscation, with lots of important verifiably true facts thrown into a half-baked mix. So to speak – US-Soviet cold war was an understandable mistake and long ago now, so that’s a good place-holder for people’s sense of history that will politically allow for the exact opposite of what Horton is directly stating he’s against. It’s very sophisticated social-engineering positioning regarding the media shell-game. It’s so convenient to externalize FACTS (as in findings at the level of physics) about Bldg. 7 and free-fall acceleration for all three buildings, especially if you’ve “already been there” so no one can question your savvy. Luckily for us Horton points the finger at few of his colleagues about whom we need to be equally careful: James Bamford; Peter Lance; Terry McDermott. And he gets to ingratiate himself to the average Trump-hater, which is a huge industry right now in general, but needs this fine-tuning extra to neutralize 911, especially this time of year, for the left – a position already well-handled on the right by Alex Jones, the Trump-lover, who seems to have temporarily forgotten about 911 (I really want to see his coverage of the upcoming 911 anniversary in this political context!). It’s also become obvious that Alex Jones is a limited hangout. On the other hand, Jesse Ventura is the real thing. The new Blackwater is being considered as a privatized substitute for the U.S. military’s direct support for the world’s heroin market. Well be careful with Ventura because he is/was all over the map. Pre-2011 he was saying that explosives were used (towers). In 2011 he was promoting Dr. Judy Wood’s DEW theory. You can’t fault people though for not getting the whole story straight. Just watch out for those who can’t see the inside job. Yea, it is a shame that Ventura got sucked into the dis-info of Judy Wood. Mark44: ! It’s always something – but I like your fair-minded reserve, and your sharp conclusion. Hadn’t really heard/paid attention to much about DEW since Occupy Wall Street. I hope Ventura is the real thing and that he integrates all this into his big picture – time will tell. Mark44 says: Sorry, if in 2017, 16 years after the fact, someone hasn’t figured out that Al-Qaeda did not pull off 9/11, then I have no patience for them. 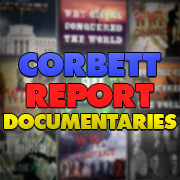 I kept listening but couldn’t believe that he was trying to convince an audience as sceptical and discerning as Corbett’s of the veracity of the narrative of the 9/11 report, he doesn’t even try to defend it when James introduces the subject with a quick summary of the myriad objections to it just says he believes it anyway. It boggles my mind how this guy is so widely lauded by the likes of Tom Woods while being completely blind to what a building being demolished looks like (which, to his credit, Donald Trump, at the time, was not). Horton is right about a lot but can only be controlled opposition. Similar to Greenwald, says a lot I agree with but am I expected to believe that the person who has had ALL Snowden’s info is allowed to freely travel around the world while not being a ‘clowns’ agent? I am loathe to read a story explaining the reasons for US presence in Afghanistan when the author believes that the 9/11 conspiracy was directed from a cave there. 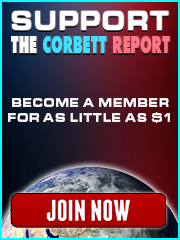 The official story of 9/11, to quote James Corbett himself, is a “conspiracy theory.” James’ reporting on the subject has been extensive & exhaustive & if al-Queda had anything to do with it at all, it was as a subordinate patsy fall-guy for the CIA, Mossad, MI-6, et al. who planned & executed it. It is patently ridiculous to believe that al-Queda & Osama bin-Laden himself could have stood down the entire US air defense system to run, of all things, a simulation of an attack on the US. As for Afghanistan being a “desperately impoverished country,” that may be true for the Afghan people, but, as a nation it holds vast wealth as the Soviets, during their occupation, discovered many valuable minerals & rare earths, & this was confirmed by surveys conducted by US personnel later. Pipelines running from Central Asian “republics” through Afghanistan, Pakistan & India to the Indian Ocean are not a negligible reason for occupation, but the story of the mineral wealth, estimated to be worth at least $1trillion, certainly would be a believable motive for continued occupation. Even so, the history of the US garrisoning countries it makes war on dates from at least the Spanish-American War in 1898-1900 (i.e., Cuba & the Philippines). It may be geopolitics at its best (worst? ), or simply inertia, but the US seems to have never left any country it invaded since then. Sounds like a good reason to occupy, although the US doesn’t really need one, as history demonstrates.